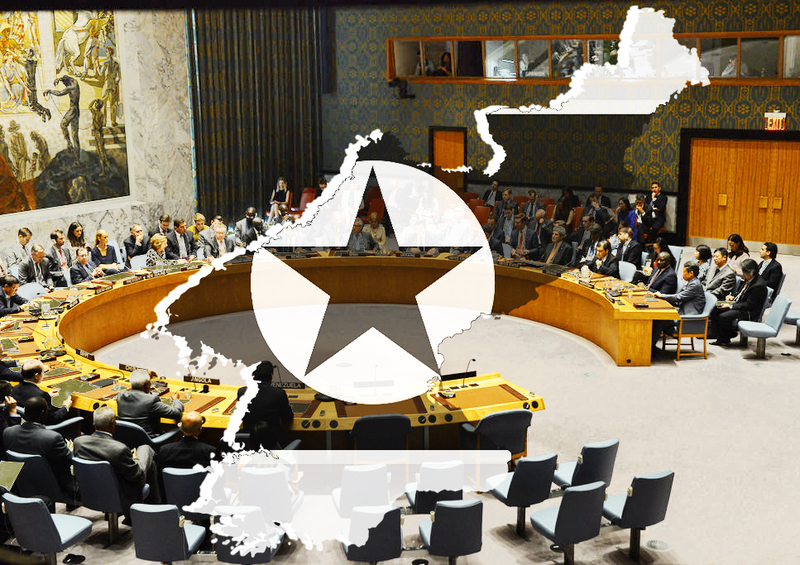 On August 5, 2017 The United Nations Security Council has unanimously adopted resolution 2371 entailing the toughening of the sanctions against North Korea, in response to the launch of the Hwasong-14 Missile on July 4 and 28, both of which the DPRK and its foes have recognized as intercontinental. The ban of exports from the DPRK of coal, iron, iron ore, lead, lead ore and seafood. The ban on the export of the North Korean labor force and textile products. The ban on the supply of crude oil and any hydrocarbons to the DPRK. The ban on new joint projects with North Korea and “any new investments” in ongoing joint projects. The targeted measures against both individuals and business entities associated with the Pyongyang nuclear and missile programs and the State Council of the DPRK, which would effectively block any diplomatic activity. The final version was submitted to the UN Security Council by the United States and China, which has actively lobbied its interests this time, and the Western media claim that the two countries have agreed to impose new economic sanctions against the DPRK without involving the rest of the Security Council members. The joint project has undergone some relaxation. The ban on the export of coal etc. has remained. However, the countries that have already concluded such contracts with the DPRK are required to complete the import of goods from the DPRK within 30 days of the adoption of the document. The ban on labor has become a ban on the additional involvement of North Korean workers beyond the already existing quotas. The fuel blockade was ruled out from the discussion process, as were sanctions against the State Council or a ban on textiles. The “joint projects” were tightened into joint ventures, maintaining at least cooperation in the humanitarian, scientific and cultural fields. The targeted sanctions have affected the Foreign Trade Bank of the DPRK, and nine North Korean nationals and four companies with assets will be frozen. The United States Permanent Representative to the United Nations, Nikki Haley, has stated that the current sanctions would deal a serious blow to the North Korean economy, being some of the toughest in the last generation. However, the author accepts these words with great skepticism. Yes, the sanctions were expected: unlike the launches of an artificial satellite, which may or may not be considered the launch of an ICBM, recalling that the right to the peaceful exploration of outer space is available to all, the demonstrative test of a military-purpose missile cannot be ignored. The UNSC was obliged to respond to such “defiant behavior”. First, the North is blatantly ignoring UN resolutions and setting a bad example to other countries that would like to solve their problems by acquiring the nuclear status. Secondly, the actions of the DPRK create a security dilemma and launch a vicious circle of regional arms races, enabling the United States to build up its military capabilities, which are directed in kind against the DPRK but in fact against China and Russia. That is why, despite all the tensions between the US and the RF/PRC, the vote has been without abstention, and even more so in the veto. At the same time, while formally endorsing the thesis that the actions of the DPRK cannot go unpunished, Moscow and Beijing have removed all measures aimed at the real economic strangulation of the country. The rest, although painful, is tolerable. Not much investment or joint ventures in the DPRK still remain, and the issues of North Korean exports will, as before, depend on the extent to which China will or will not turn a blind eye to certain phenomena in the relations between the PRC and the US. And today, a decent part of the seafood labeled “Made in China” is actually produced in the DPRK. It would be better to focus on the spreading notion that sanctions are becoming a ritual act. How far they will help solve the problem, or whether it is time to look at other options, is a separate issue. Moreover, despite the support of the sanctions, both DPRK neighbors from among the permanent members of the United Nations SC have, in fact, made a “special opinion”. Thus, Permanent Representative of the RF Vasily Nebenzya, apparently called on North Korea to “dismantle nuclear programs and return to the NPT Non-Proliferation Regime and IAEA inspection, as well as to accede to the Convention on the Prohibition of Chemical Weapons.” At the same time, however, Nebenzya noted that the sanctions against North Korea should not be used for the “economic strangulation” of the country, and that unilateral sanctions against the DPRK are “flawed and illegal”, and “military adventures” around the DPRK could result in a “catastrophe on the regional stability”. Moreover, the Russian diplomat openly stated that presently, the denuclearization of North Korea was difficult because the country “feels threatened” by the expansion of forces in the region by other countries, including the extensive United States and South Korean exercises as well as the deployment of the American THAAD missile defense in the RK. In this context, “isolation and pressure must give way to dialogue and negotiations,” because “the resource of sanctions pressure after today’s resolution has been exhausted” and “further restrictive measures against the DPRK cannot be an end in themselves”. In this context, Nebenzya has rather been quite rigid on the concept of unilateral sanctions by the United States and its allies. Some of Nebenzya’s statements were open invective, packed in a diplomatic wrapper. This is how to properly understand the passage that is very important for the author, “We would like to hope that the assurances given by the United States Secretary that the United States would not aim to overthrow the current DPRK regime, forcibly unify the peninsula or militarily intervene in that country were sincere.” “However, it is a matter of concern that the section of the draft resolution that we have proposed to embody these provisions has not found support from the authors.” It can also be viewed as a direct indication that the accusations against Pyongyang that it is involved in the “supply of WMD components to the hands of non-State actors” are unsubstantiated and should not be mentioned in United Nations documents. Chinese Permanent Representative to the UN, Liu Jieyi, expressed a similar position; on the one hand, he recommended that the DPRK “stop actions that could lead to an escalation” of the situation in the region, on the other hand, criticized the deployment of the THAAD, which “will not bring a solution to the problem of nuclear testing and missile launches”. The same position was taken by Minister of Foreign Affairs of China, Wang Yi, on August 6, during a meeting with his North Korean counterpart in the framework of the ASEAN Regional Security Forum in Manila. Wang Yi outlined the principled position of the PRC on the nuclear issue of the Korean peninsula, stressing that a turning point was being made to decide to resume negotiations. He called on Pyongyang to desist from actions that violate the resolutions of the United Nations Security Council, and on Washington and Seoul not to escalate tensions in the region. All parties must maintain restraint and make the right choice, cognizant of their responsibility towards the people of their countries and for peace in the region. Earlier, at a meeting with the Foreign Minister of Great Britain, Wang Yi encouraged all interested parties to positively consider the proposal of Beijing to reduce tension on the Korean Peninsula and to find a way back to dialogue. This all concerns the conditions for the rejection of the DPRK of the missile and nuclear provocations in exchange for the cessation of the South Korean-American military maneuvers. Tension has thus increased, but this is not a decisive leap that could radically change the situation. Rather, the next move is more important, and the author very much hopes that the DPRK will not decide to raise the stakes in response, especially since August is the time of the next large-scale US-South Korean exercise, when the degree of declaration has traditionally increased. Konstantin Asmolov, Ph.D., Senior Research Fellow at the Center for Korean Studies of the Institute of Far Eastern Studies of the Russian Academy of Sciences, exclusively for the online journal – New Eastern Outlook.